Yes, it's the second in this series of irregular posts. Whenever I feel like it and have enough time in any given week, I'll list some new genre (fantasy, horror, SF) releases out that day. For the sake of simplicity, I'm focusing solely on 'trad-published' novels and, even then, the list will be far from exhaustive: mainly stuff on my radar. Please feel free to quack about any egregious trad-pub genre omissions in comments! Let's go: what's out this week? You know Chuck Wendig, right? The man is a book-writing and advice-giving MACHINE and if you don't read him, you're missing out. Along with his forthcoming novel Star Wars: Aftermath, this high-octane cyber-thriller represents Wendig's well-deserved shift into the mainstream, while forfeiting none of that essential Wendigery-pokery. The much-awaited historical fantasy sequel to The Oversight, which was hailed as "the start of something amazing" by The Girl With All The Gifts author M.R Carey, who clearly knows an amazing thing when he reads or writes one. SOMETIMES YOU LOOK IN THE MIRROR - SOMETIMES IT LOOKS BACK. Those who belong to the secret society called The Oversight know many things. They know cold iron will hold back the beasts in the darkness. They know it is dangerous to stand between two mirrors. And they know that, despite their dwindling numbers, it remains their duty to protect humanity from the predations of the supernatural. And vice versa. 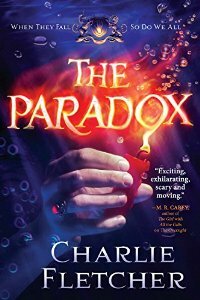 But two of the society's strongest members, Mr Sharp and Sara Falk, are trapped in the world between the mirrors, looking for each other, searching for a way back home. What they discover there will have ominous consequences both for The Oversight and the world it protects, effects that will make them question everything they thought they knew. The dark waters rise. The candle is guttering. But the light still remains. For now . . . Okay, okay, you got me - I chose this one because the cover and title are really cool. But that's so often how books reel you in. 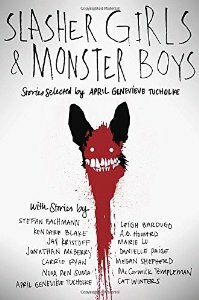 Besides, this YA horror anthology looks rather good in all respects and editor/contributor Tucholke has strong past form, having written Between The Devil And The Deep Blue Sea and its sequel Between The Spark And The Burn for Penguin. Okay, that's all I have time for, folks. 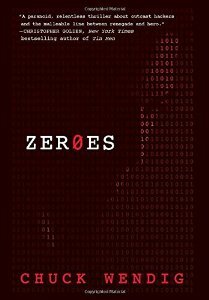 What have I missed in genre trad-publishing this week? Quack about it in comments below!